Milestone offers a wide size range of summer tyres for compact family cars, luxury medium-range cars and cars in the top segment. Milestone summer tyres are characterised by their impressive performance and predictable driving characteristics. 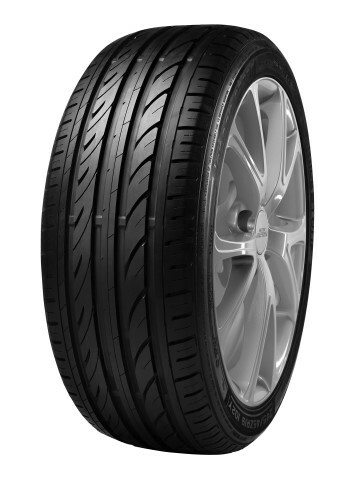 The special rubber compound and the construction of the tread guarantee precise and comfortable handling. Even when the road surface is extremely wet due to heavy rainfall or thunderstorms, Milestone summer tyres retain their grip. And the optimal price/quality ratio of the Milestone tyres can safely be called an outstanding achievement. Milestone summer tyres, a sensible choice! With the Milestone Greensport you choose the ideal blend of maximum performance on the road combined with minimum impact on the environment. Maximum driving performance on both dry and wet roads with a good price/quality ratio. The unique composition of the Milestone Greensport, the rubber compound and the choice of tread ensure the Milestone Greensport performs in all conditions. Also when extreme performances are required, the Milestone Greensport proves to be a reliable partner time and again. Milestone Greensport combines safety and good driving characteristics with a very attractive price range. So don't pay too much for quality, choose the Milestone Greensport. Inter-Sprint Banden BV, Europe's leading distributor in tyres. If you are interested to supplement your range with Milestone tyres, please feel free to contact us by phone or send us a e-mail by using the contact form.